MANILA, Philippines – With 3-game series advantage in the PBA Governors' Cup Finals, the San Miguel Beermen are now looking to finish their job in an astounding fashion tonight July 17, 2015 versus their arch-rivals Alaska Aces at the Smart Araneta Coliseum. 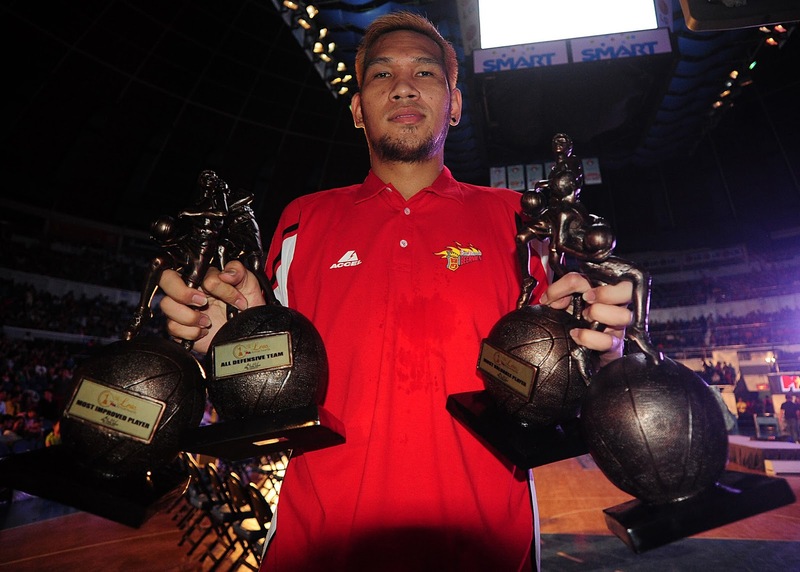 But before the game 4 proper, the Annual Leo Awards will be held where the newly crowned Best Player of the Conference, Junmar “The Kraken” Fajardo is highly favored to win his 2nd MVP plum. Whether Fajardo wins the most prestigious individual PBA award or not, he and his band of brothers will go for the kill knowing that Alaska, who was branded as the new “Never Say Die Team of the League” will never easily give-up and will go for an absolute upset win. In PBA history, no team has ever won a Championship after being downed 0-3. But Alaska Head Coach Alex Compton thinks the other way around. “There’s always first” according to Compton referring to the Aces’ capabilities of doing an improbable championship comeback. The current Best Import of the Conference, Romeo Travis admits that he plays horrible finals basketball but still hoping to turn things around. In contrast to Travis, Arizona Reid who failed to win his 3rd Best Import award in his PBA career is really looking sharp in this series. In game 4, Reid exploded for 41 big points from all angles of the floor. Reid was really disappointed in losing the Bobby Parks Award and questioned the media for the criteria of judging on a post-game conference. Reid ponders on retiring from overseas contracts right after SMB’s worst Commissioner’s Cup exit. Knowing that he’ll be kept by the Beermen as their reinforcement for the next conference, AZ vowed to win a championships before he hangs his PBA jersey which he failed to achieve when he was playing for the Rain Or Shine Elasto Painters. It was the Beermen’s defensive stops that won them game number 3 as per Arwind Santos who was missing in action in the previous games but came back rejuvenated and strong highlighting his infamous chase down block on JV Casio that shifted the momentum to San Miguel after being downed as much as 11 points.